The French region of Normandy is famous for its involvement in D-Day during the Second World War, especially the beaches. It’s a very historic area and a wonderful place to explore. It’s also quite scenic with some excellent campgrounds to choose from. One of these is named Camping Le Clos Castel. The ground is open all year round and is suitable for tent, caravan, and motorhome camping. There’s also a bed and breakfast on the site and a storage area for caravans. It’s not hard to get to from the French ports of Caen, Cherbourg, Le Harve, and St. Malo. It sits about 15 minutes from the charming town of Carentan and is a wonderful base to discover the fantastic region of Normandy. There are some pitches available with electric hook-ups as well as hot-shower and bathroom facilities. There’s also a chemical disposal. Dogs are welcome as long as they’re on a leash at all times. One of the great things about the area is you have a choice between the countryside and seaside. The interior of the region offers some stunning views and beauty. You’ll find thatched cottages, ever-changing landscapes, and traditional farming areas. 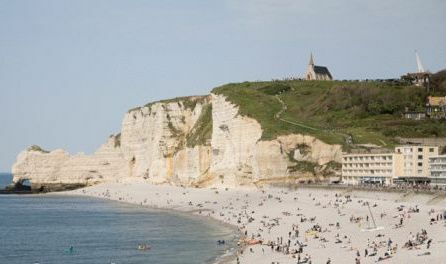 The local coastline stretches for miles and offers excellent windswept scenery along with dramatic cliffs close to La Hague. There’s a low-lying coast which faces Mont Saint Michel and a trip to the charming Saire Valley will allow you to enjoy the lush green slopes that lead to the quaint town of Mortain. Over at the Cotentin Peninsula, you’ll see a wonderful assortment of pretty landscapes. The sea is never further than 30 miles away and the region is filled with wetlands, moors, forests, and prairies. The Vire Valley escarpments and hills at Coutances also offer some fantastic views. There are plenty of historical sites to visit. 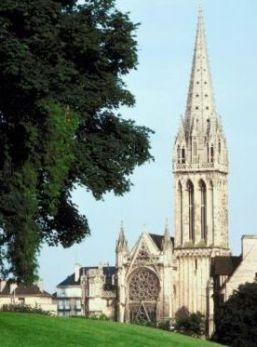 These include the D-Day beaches, the cities of Caen and Bayeux, Le Mont St Michel, and local markets. The area’s also ideal for cycling, swimming, fishing, shopping, horseback riding, and hiking.